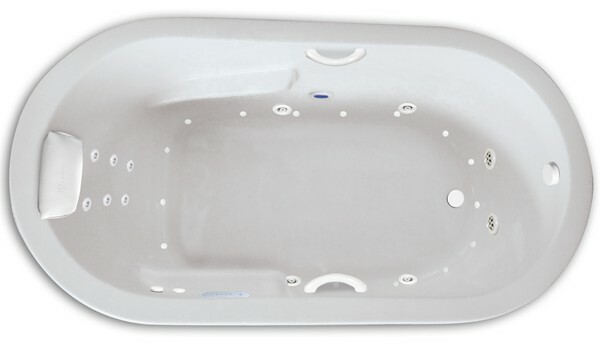 72" x 36" x 23", the Zen Oval 6036 is designed with an end drain & armrests. With a modern, flat rim - this bathtub can be used as a drop-in or undermount. 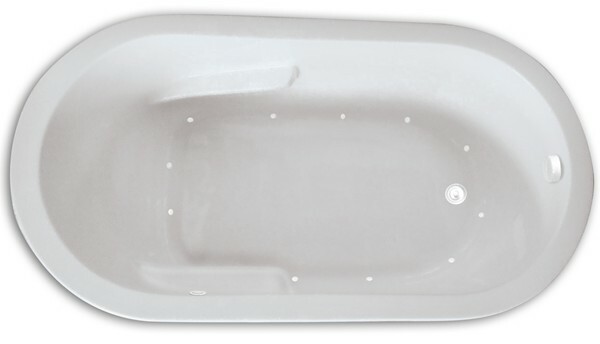 The armrests float in the tub leaving more width at the bottom. 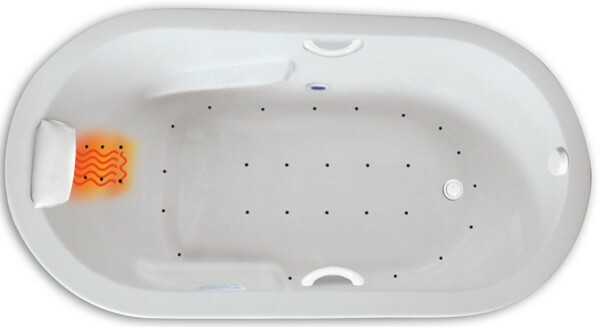 The bathing area is 20" x 47". Choose a Soothing Soak heated soaking tub for a simple, tranquil pleasure. Go to the ultimate combination: powerful jets and soothing air bubbles. The soaking tub is pictured but all in all there are 11 tub styles: Soaking Tub, Heated Soaking (Soothing Soak), Air (3 styles), Whirlpool (3 Styles) or Combo Whirlpool-Air Bath (3 Styles). 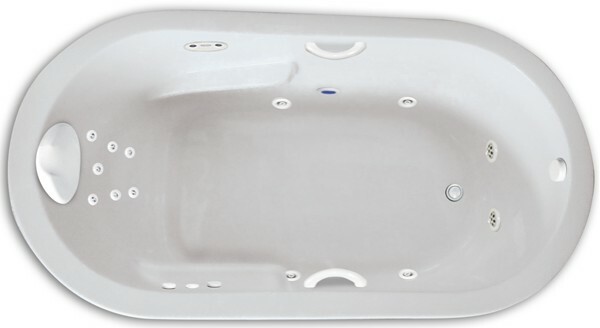 The soaking tub is pictured. Tub Size: 72" x 36" x 23"
Depth to Overflow (center): 18.5"